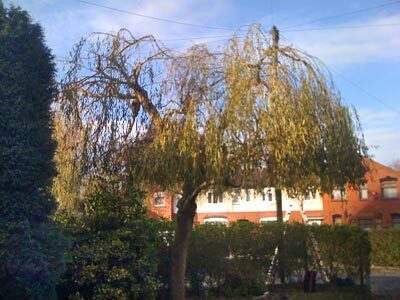 The customer wanted this weeping willow reduced in height so it was not touching the telephone wires. 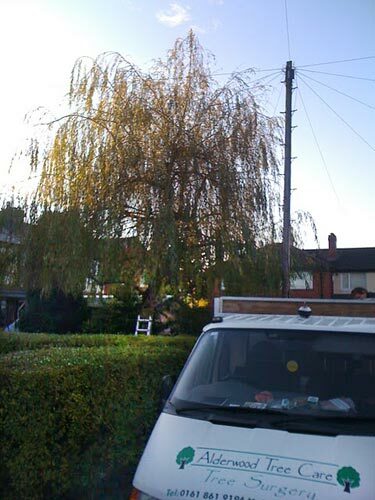 Before: The tree was becoming entangled in the phon wires. After: We reduced the height of the canopy and pruned the tree to maintain a natural shape.